Posted By:Unknown | At:1:18 PM Be the first to comment! LOS ANGELES (AP) — Clint Eastwood earned plenty of bad reviews for his latest performance: a bizarre, rambling endorsement of Mitt Romney. Eastwood carried on a long-winded conversation with an imaginary President Barack Obama, telling him that he failed to deliver on his promise and that it’s time for Romney and running mate Paul Ryan to take over. “Mr. President, how do you handle promises that you have made when you were running for election, and how do you handle them? 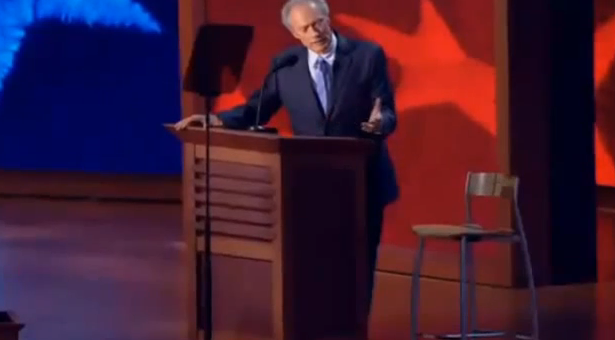 I mean, what do you say to people?” he said at one point to the empty chair. “Clint has now eclipsed the total word count of his last three films,” tweeted film critic Richard Roeper during the speech, which was intended to last five minutes but went on for nearly 12. 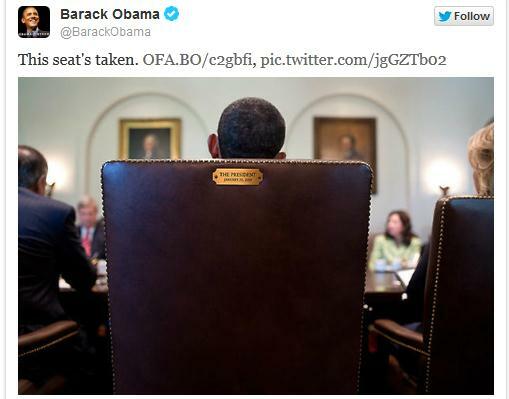 Minutes after Eastwood began his speech, someone created an (at)InvisibleObama account on Twitter. It has already amassed 30,000 followers and counting. The 82-year-old actor and director, a fiscal conservative who takes left-leaning stands on social issues, also talked about Oprah Winfrey, Obama’s unfulfilled promise to close the U.S. prison at Guantanamo, the wars in Iraq and Afghanistan and lawyers. “When somebody doesn’t do the job, you gotta let ‘em go,” Eastwood said. The tough-guy actor of “Dirty Harry” fame then drew a finger across his throat. A top Obama adviser, David Axelrod, told MSNBC that Republicans must be regretting Eastwood’s rambling speech. Inside the convention, the crowd cheered the actor’s entrance and shouted his famed catchphrase, “Go ahead, make my day.” But backstage, stern-faced Romney aides winced at times as Eastwood’s remarks stretched on. After his speech, Romney’s camp defended Eastwood.